Brookline Public Schools service the town of Brookline, Massachusetts offering classes from Pre-K to 12th Grade. Brookline is a diverse, transit, and urban town with schools serving over 7000 students. 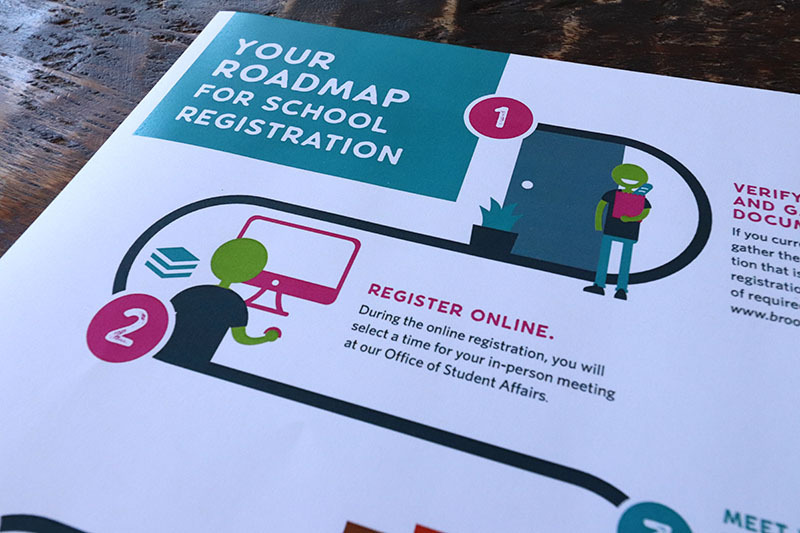 The Brookline Schools needed to simplify their registration process. They wanted applicants to understand it was a process and not one step. Infographics needed to accompany each step so it was easy to understand the step, even if English is not your first language. The first deliverable in the project our design studio worked on was a handout. This was quickly followed by requests for graphics for the website and a powerpoint presentation template. Designer Emily Knapp and Creative Director Lily Robles held the kick-off meeting with Brookline Public Schools. Here the focus in addition to the deliverable goals was the process for the project. They could immediately see that what the client described in person was different from the description on the website. Therefore it was apparent that understanding the process was the first challenge to overcome on this project. For a designer, understanding your client and their needs are key to being successful. After coming to an understanding of the process, Emily went to work on the next challenge. This was locating all the elements, designing the infographics and editing the text on the page and making the content feel like a cohesive process. She did this by creating infographics with icons for people that were inclusive, so they would apply to everyone. To make it clear there was a process and not just one step to be completed she created a line to lead the audience through the steps. Emily edited text to complete the handout. 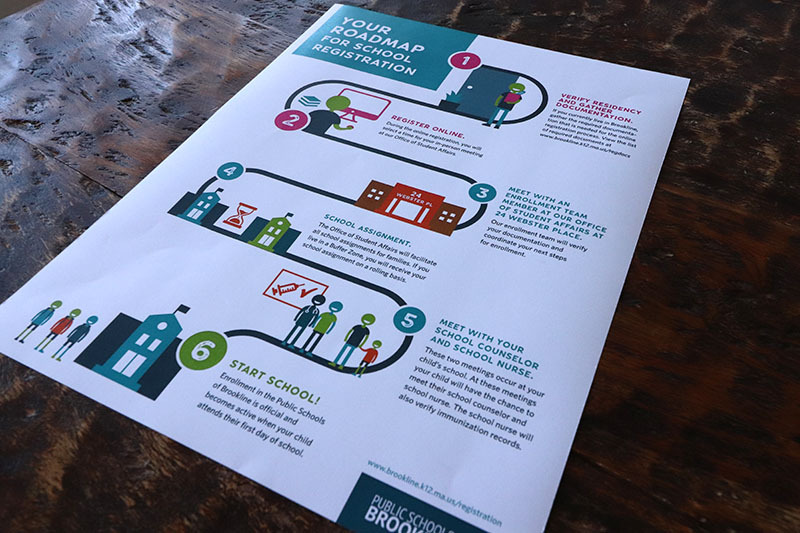 Brookline was so pleased with the handout they asked to use the infographics on their website and to have it in powerpoint as well. A thorough understanding of the process in addition to goals was essential to a successful project completion.